An interesting and easy to understand explanation of the role of gut microbiota, how the foods we eat affect our gut microflora no matter what part of the earth we live in. Giulia Enders talks about studies linking gut microflora to obesity, auto-immune diseases, and the long-term consequences of the use of antibiotics on gut microbiota compasition and diseases. Unfortunately, no mention was made about gut microbiota and malodor conditions, most probably because there has not been research on this. 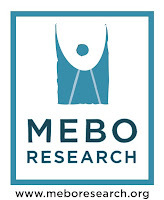 The new groundbreaking MEBO Microbolomic Research Study is all about understanding the sufferer' gut microflora in relation to odor and treatment. View more presentations from Aurametrix.